Before we speak about email list… Let me tell you a story. I was working once in a company that was struggling with customer acquisition. We had a kickass product, we had a great design, a sales funnel, an email list, you name it – we had it all. And yet our customer acquisition was still lagging behind. I had a long list of jobs that I wanted to fill a bunch of new projects that we wanted to start, but I couldn’t! Because we had no money for them! How do you get more $$$? More investors? Increase the price of your product? Fire some people? Before you do any of that, you need to look at your lead prospecting system. I looked at which of these my company did and saw that we were doing really well on a few of those. We had organic traffic coming to our site, we were advertising on Twitter with really great results, and we had people signing up after chatting with us on social media. We were not doing enough outbound marketing, and that’s either outbound calls or outbound emails. 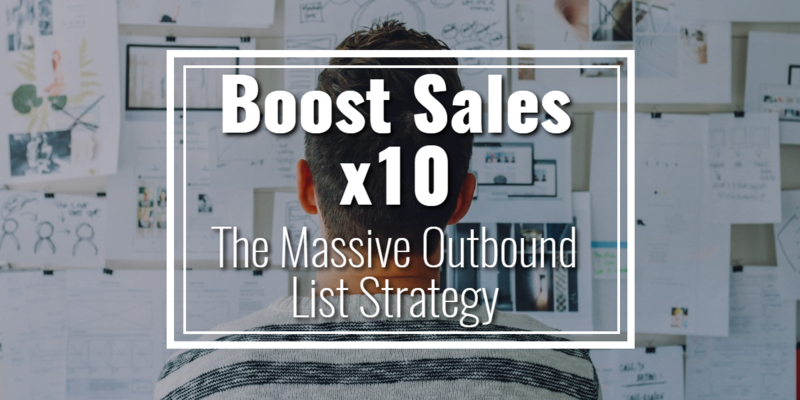 So I decided to use a kickass strategy I got from Sujan Patel to create a massive outbound email list and start running a campaign. I’m going to take you through the exact steps I used to do it. Creating an email list of qualified leads is a big deal for any business. You usually have to buy them, but nowadays things are much easier if you use social media. You can get a tool that crawls the web for your and gets everybody’s emails and contact info. This way, you can get a list of thousands of people based on searching for a keyword in their bios. One way you can do this is by using a handy tool called Ninja Outreach. I’m not even supposed to tell you about it, it’s been our secret here at eClincher for a while. But what the heck, I’m feeling generous. You deserve to know about it, it’s going to make your life so much easier. Ninja Outreach is great because you can use it to scrape Instagram and Twitter. Just put in a search term like “growth marketer” and it will display all the people that put that in their social bio. Then you can save all of them into an email list, and export that email list to get your own spreadsheet. Voilá! They do limit the number of contacts that you can export, so just upgrade to one of the higher plans if you want to create a massive list (5-100k). If you are a B2B company you definitely need to scrape LinkedIn and there are a bunch of tools that do that. The first thing to do is to export all of your existing contacts on LinkedIn. Then use a tool like FindThatEmail or Skrapp to extract the emails of people you search for on LinkedIn. When you use all of those tools you create one email list from Instagram and Twitter, a second email list of your own LinkedIn contacts, and a third email list of all your second and third level connections on LinkedIn. If you can invest some money into this you can easily compile a list of 100,000 leads in one month. Now that you have a massive outbound email list you need to find an outbound solution that can help you automate everything. You need a tool that can send a good amount of emails per day and looks natural – like it’s coming from your own email. A good rule of thumb is to send out 6 emails to each lead – that’s 5 follow-ups. According to Hubspot, 80% of sales require 5 follow-up calls, so I use that for emails as well. And the other requirement should be a CRM integration, where you can manage the sales pipeline and easily see whether your leads are converting. We found all of that in MailShake, which does all three really well. It displays all the data for you in your Campaigns tab. Below are some sample campaigns that we’ve created to show you what it looks like. 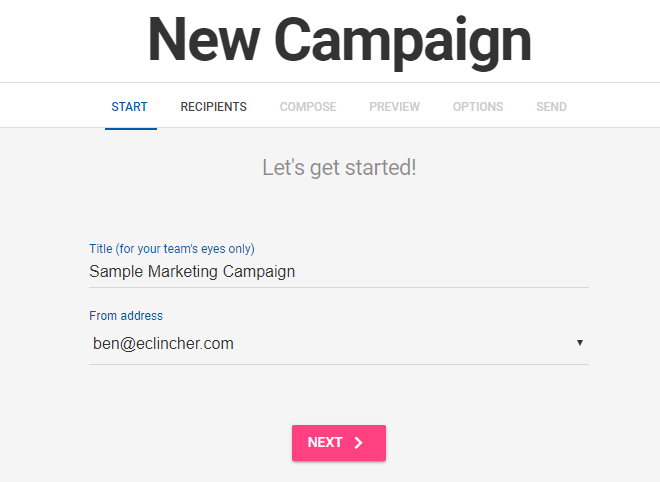 The way you create a campaign is by clicking on the pink plus button on the bottom right corner of the screen. Then write in a name for your campaign and the email you want it everything to be sent from. 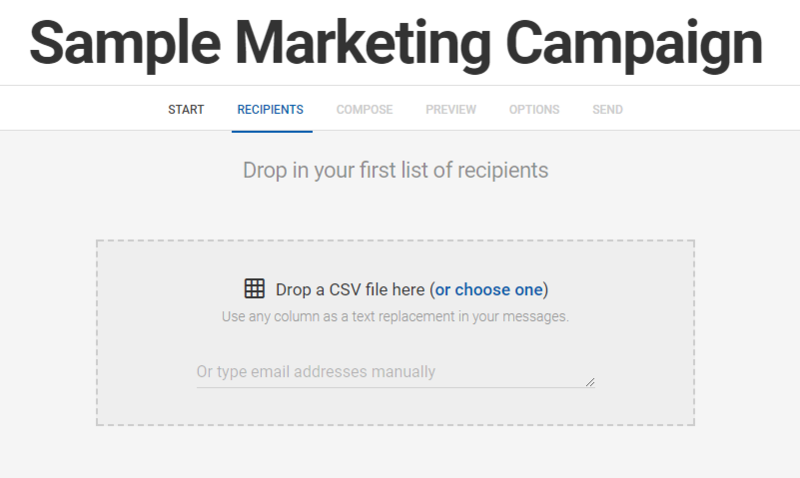 Next, upload a list of your email contacts in a .csv format. If you are new to csv you need to remember to have the column names on top. If you don’t name those categories then Mailshake won’t be able to read them and decided what goes where. Once you upload your csv file the next step is to compose your emails. The key thing to remember is to add 5 replies to your first email. A drip is like an onboarding email campaign where you send a series of emails to a customer whether they respond or not. For this campaign, the reply works better because as soon as the lead responds to your email the whole sequence stopped and they don’t continue being blasted by the other crafty emails you wrote there. MailShake has some more cool features. For example, if the lead writes anything with the word “unsubscribe” then they are automatically taken off your list. Also, it’s really easy to manage conversations with leads. The Lead Catcher software inside of MailShake allows you to see everything everyone wrote back, assign leads to team members, reply to them directly, or close the lead. Now that you have all your leads in order on your email list, you need some tools to track the progress of your sales efforts. For this, you definitely need a CRM. People think that CRM’s are expensive and complicated but it’s totally not true. You can find a really cheap one that is also easy to use. I use one called PipeDrive, and it’s the bomb! 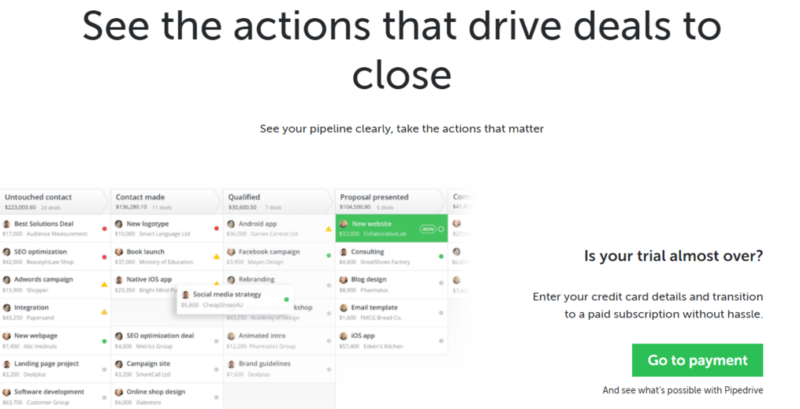 PipeDrive is a drag and drop CRM where you can literally drag a customer or lead through each stage of the sales funnel. It is super easy to use. 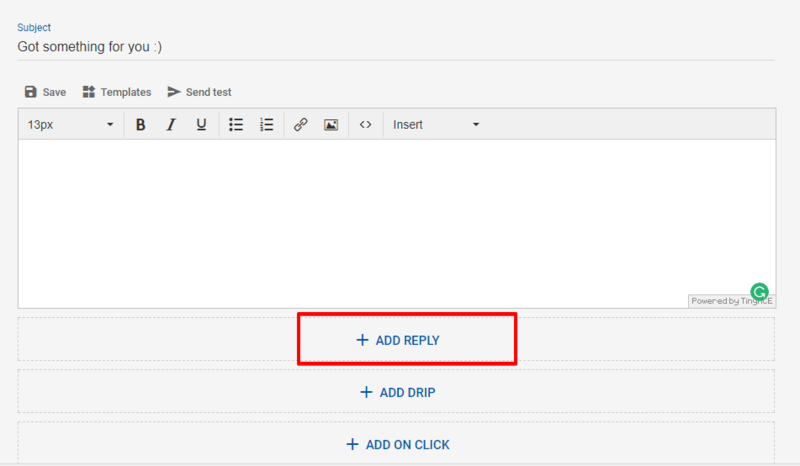 The way we connected MailShake to Pipedrive is through Zapier. The integration page is here. It’s super easy to integrate the two of them just follow the steps. I tried this experiment for a month and the results were very interesting. First of all, we used this system for both generating sales leads and finding more guest blogging opportunities, so the results are a bit skewed because of that. The templates that we used on our email list generated 42% open rate, 8% click-through rate, and a 5% response rate. But all of that was only from 1 email, I never sent out any follow-up emails, which I think would have doubled if not tripled our stats.